The next installment of Art School Boot Camp is now live, and we’re diving into the deep world of color! Color is often the most confusing and frustrating part of art making—but it doesn’t have to be that way! In this mini-class, I’ll introduce the color wheel and quickly explain terms like hue, intensity, saturation, value, tints, and tones. I’ll take you through the primary, secondary, and tertiary colors, and introduce the five basic color schemes. Then I’ll take you through two simple step-by-step processes of choosing and making a color palette using color harmony and inspiration. 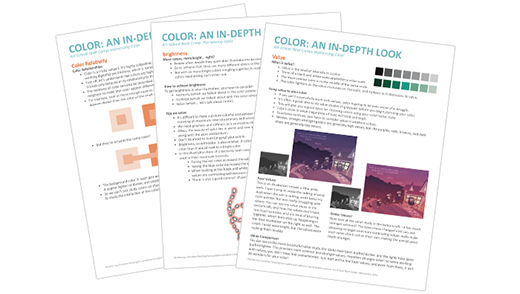 If you’re looking to dive deeper into color, be sure to download the Project Guide PDF when you enroll! Christine prepares exceptionally well. She is concise and provide valuable input without waffling on. Her notes are the best I have seen and I appreciate the effort she puts in. Any course of hers I am interested in watching. 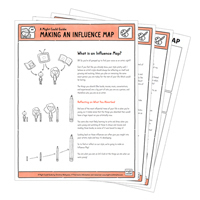 –Karyn P.
Ms. Fleming is a fantastic instructor, and I’m still amazed at some of the tips and tricks that have stuck with me from previous classes. Her instruction is clear, and I love how short, yet effective the classes are. –Beth S.